New brand and name for learning partner for the health and social care industries. 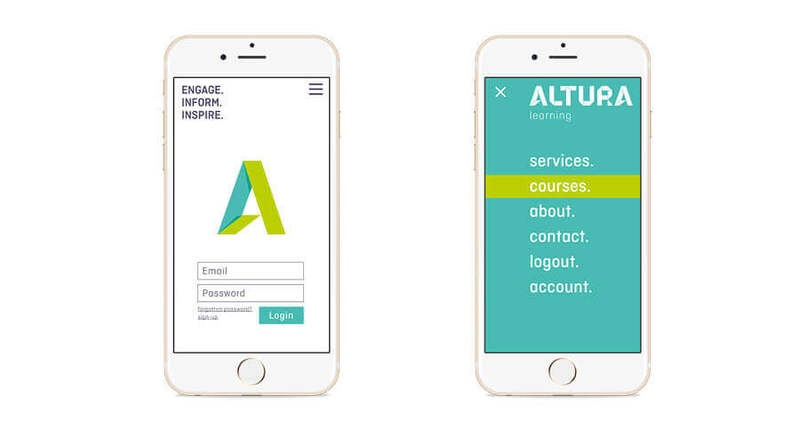 The brand proposition, name and identity reflects Altura Learning’s ongoing work to innovate and expand geographically and across the health, disability and social sectors with the support of enhanced technology. The new Altura brand identity celebrates growth and change through a modern and vibrant visual language. The brandmark is inspired by the unfolding of a new leaf, designed to illustrate how a person’s learning journey can change and develop over time, revealing exciting opportunities. The angled nature of these folds combined with a bright colour scheme exudes positivity and playfulness. Altura Learning CEO Yvie Webley says that the new brand has far exceeded her expectations. “The feedback from both staff, clients and the industry has been amazing. The experience of working with Truly Deeply has been fantastic and we’re now all looking forward to enjoying the fruits of our hard work”. 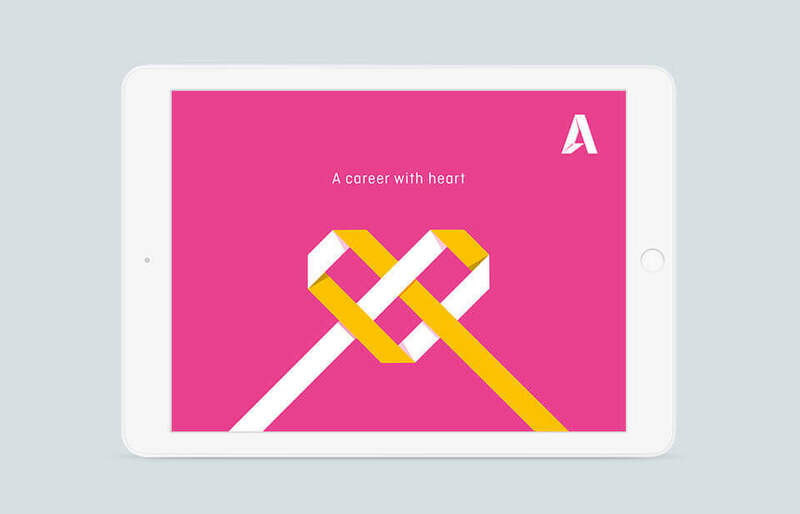 The path illustrations that are derived from the brandmark capture the essence of Altura as a brand that is flexible, dynamic, and progressive. They also convey strategic messages in a visually engaging way. Truly Deeply engaged the leaders in Altura across several countries to create a new strategic direction for the organisation. The new brand proposition and messaging builds on their compelling truth to focus on inspiring learning that improves quality of life. Importantly, the new proposition builds on what the organisation’s strong reputation and capability in the aged care sector in Australia, UK, Ireland and New Zealand to create a compelling offer for the broader social care industries globally. It also provides flexibility for the brand to talk to both care providers as well as directly to learners. The company was originally called ACC TV (Aged Care Channel) but this no longer represented the organisation and also caused brand confusion with another ACC TV (Australian Christian Channel). 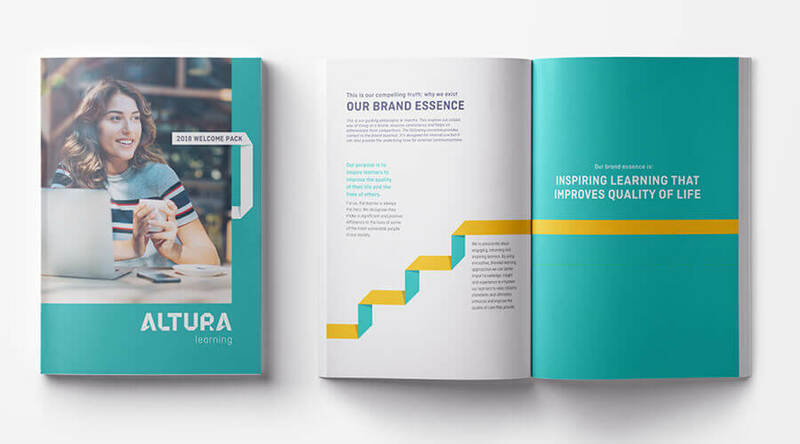 After an extensive creative and strategy naming process, Altura Learning was chosen as the new brand name. Inspired from altruism and altitude, ‘Altura’ is a created word that’s unique, yet instantly feels familiar. It aligns beautifully to the new brand story and was tested across multiple languages and markets to ensure it would enable Altura to realise their vision of being a global brand. “The name recognises the trajectory that has seen the organisation grow from its beginnings as a provider of learning for aged care providers in Australia to serve a broader customer base across new sectors and geographies”, added Webley. Altura Learning creates high quality, responsive and media rich learning solutions for those working in or aspiring to work in the health and social care sectors. The organisation has grown significantly with operations in several countries and ambition to be global. To find out more about the project, see the full Altura Learning case study.